Although the winter is getting closer and it is starting to get cold around here, there is a actually a bit of a samba touch to this episode of our WebTV. Jakob has gotten his hands on the brand new generation of the Adidas F50 Adizero from the Adidas Samba Package, and he is now ready for his review on the boot right here. What a week this has been. No less than five boots have been presented by Adidas with their brand new Samba Package and among these you will find the brand new Adidas F50 Adizero, both in a blue and an orange colourway. It is not Christmas yet, but when things like these are presented, it kinda feels like Christmas already. 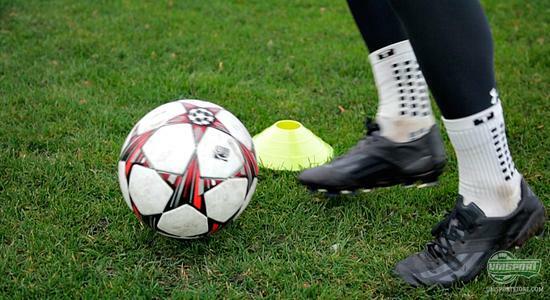 And just like you have to play with your new Christmas gifts, Jakob has been out on the pitch playing with the brand mew generation of the Adidas F50 Adizero, of which we were lucky enough to get a blackout test model from Adidas. 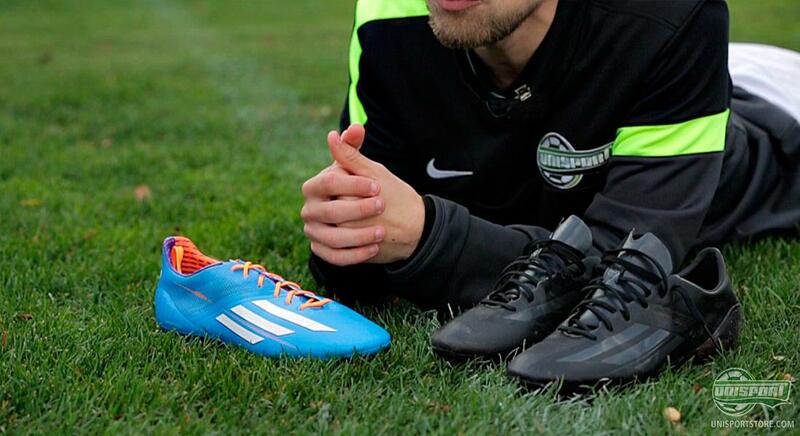 We did tell Jakob not only to play with the boot, but also make a review as we sent him out. 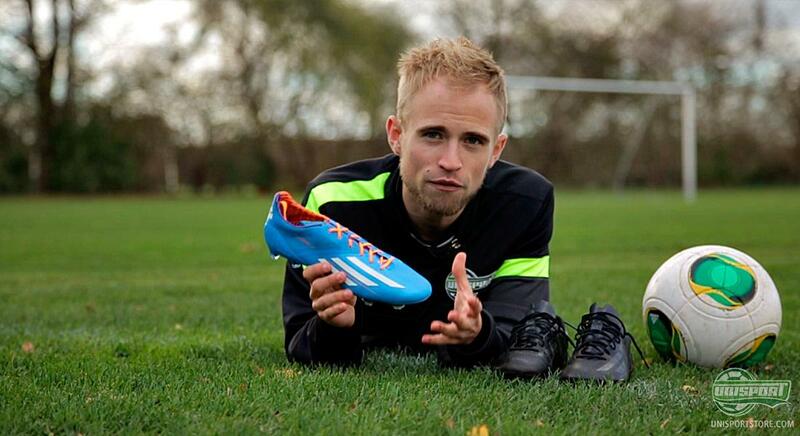 Luckily he listened, so please come along and see what he thought of the new Adidas F50 Adizero. You don't need to see much of the video to realise that Jakob is pretty happy with the boot, and that even if he has not been a huge fan of the earlier generations of the Adidas F50 Adizero. But Adidas have managed to raise the bar and create a boot that is extremely light at just 150 grams, and that also performs incredibly well on the pitch. 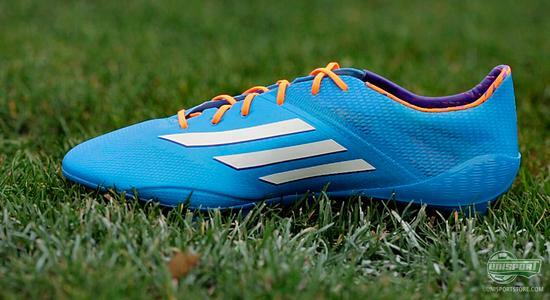 new on the Adidas F50 Adizero is the ultra thin Hybridtouch upper, which provides a very precise fit and a very good touch on the ball. The can check out Jakob's take on the new upper in the video, and without giving it all away, his thoughts are predominantly positive. 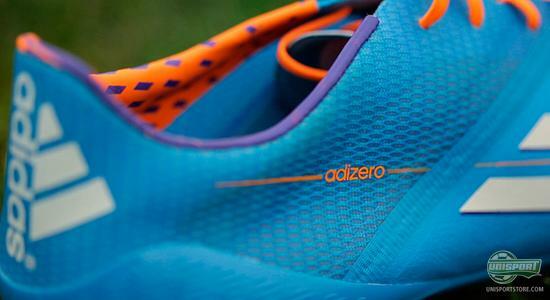 There is certainly a lot of positive things to be said about the new Adidas F50 Adizero. It's light, it has a great touch on the ball, and it has an excellent fit. But is there then anything negative to be said about this boot? Of course there is, and if you wanna find out what, then please come along and check out the review video. For those of you who, just like Jakob, enjoy going into details with the boot, we have also created a 'Behind The Boots' video, where Jakob does his thing and gets very much into detail and brings you all the information you could need regarding the new Adidas F50 Adizero. Here he will also take a closer look at the technologies that have created the latest generation of the Adidas F50 Adizero, and there is quite a lot of interesting things to look into. 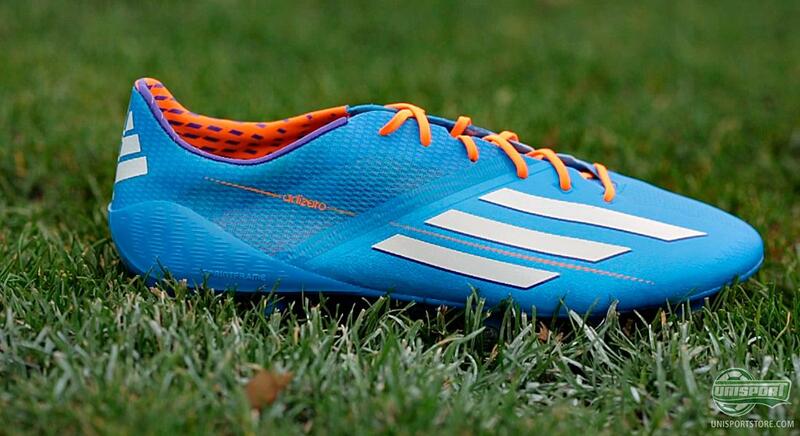 The new Adidas F50 Adizero looks like a certain success. At least if you believe the positive word that Jakob expresses regarding this boot. Not only is its weight of just 150 grams impressive, the boot also performs really well on the pitch both when it comes to grip and touch on the ball. It is not always an easy task to convince Jakob's critical boot eye, but with this Adidas F50 Adizero, Adidas have managed to impress. In the video, Jakob actually concludes that this is probably one of the best, if not the best, lightweight boot he has ever worn. These are big words, and might send a message to Nike, Puma and Diadora etc. If you are still reading this, then hurry up and click on the video link to watch the video and see for yourself just how good a boot the new Adidas F50 Adizero actually is. What do you think of the Adidas F50 Adizero? 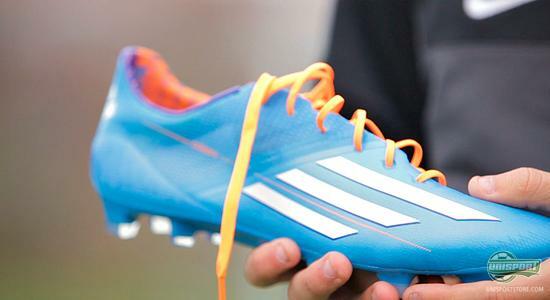 And what lightweight boot do you think is the very best? As always, feel free to leave a comment either here, or on Facebook and Twitter.